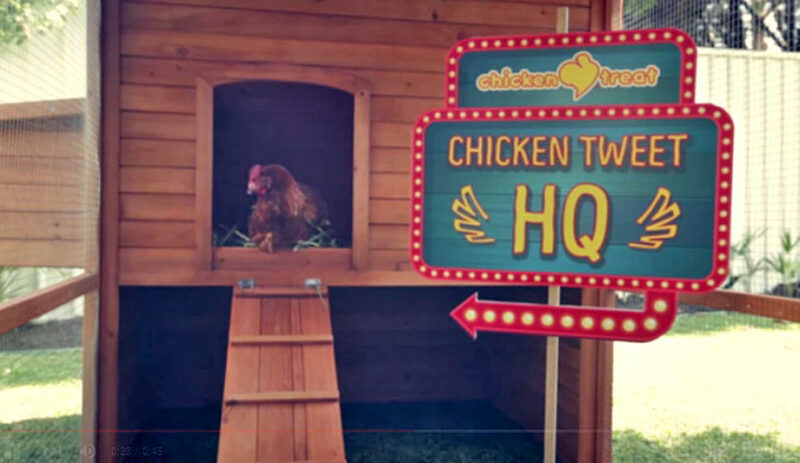 An Australian fast-food chicken company has a fowl running its Twitter account. 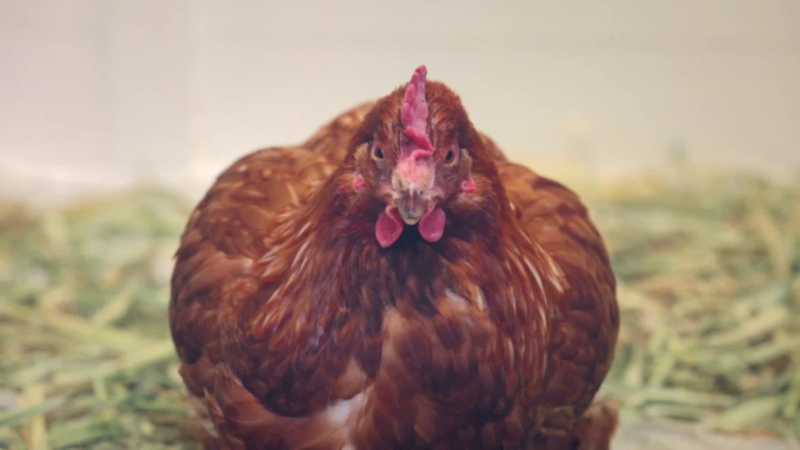 Betty the chicken has taken control of the Chicken Treat’s Twitter account for the last week. Betty forms the tweets, mostly nonsensical words and characters, as she pecks at or walks over the keyboard. The company will continue this exercise until Betty successfully tweets a five-letter word in English, which will apparently earn her a place in the Guinness Book of World Records. On Thursday, she typed “bum” — which was close but didn’t win her the title. No word yet if Betty is going to wind up in the fryer, but she and the stunt have helped grow the company’s Twitter account to almost 8,000 followers. “I’ve hit over 200 sales so far,” he said. It is not Waring’s first foray into seasonal offerings. Last winter, he shipped snow from Boston’s record snowfall for $89, using the website ShipSnowYo.com. He said he received requests for 718 pounds (326 kg) of snow from around the United States. 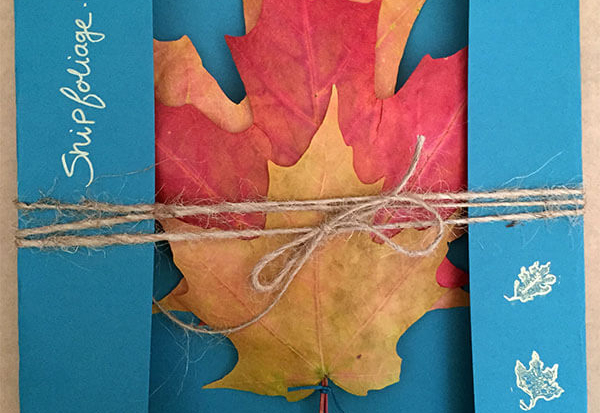 According to shipfoliage.com, Kyle offers bundles of three leaves of red, yellow and green, ranging from 3 to 6 inches (7.5 to 15 cm) in size. The leaves are preserved in a mixture of glycerin and water and shipped. New England states bring in an estimated $3 million in tourism revenue during the autumn foliage season, which typically lasts for a couple of weeks in October. HALF MOON BAY, Calif. — A rippled white whopper weighing in at 1,969 pounds took the title Monday for plumpest pumpkin at an annual San Francisco Bay Area contest. Growers gathered with their gargantuan offerings to try to break the world record of 2,323 pounds, which was set by a Swiss grower during a competition in Germany last year. But the winning entry at the Safeway World Championship Pumpkin Weigh-off in Half Moon Bay, south of San Francisco, was no small feat. 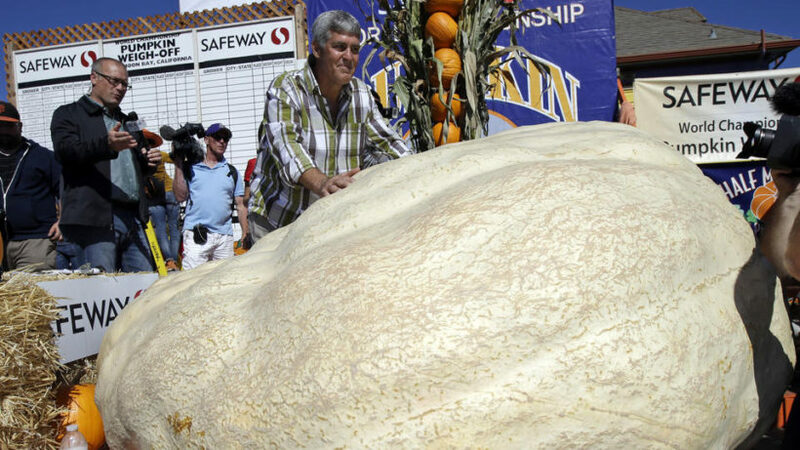 Steve Daletas of Pleasant Hill, Oregon, won $12,000 for his lumpy, 1,969-pound pumpkin. Forklifts and special harnesses carefully placed the massive pumpkins on an industrial-strength digital scale with a capacity of 5 tons as officials from the county agricultural commissioner’s Office of Weights, Sealers, and Measures kept close watch. Second place went to Ron and Karen Root of Citrus Heights, California, for their 1,806-pound entry. A $500 prize also was awarded to the “most beautiful” pumpkin based on color, shape and size. With California in its fourth year of drought, some said the dry soil deflated their pumpkin-growing dreams. “No doubt about it,” Gary Miller of Napa, the 2013 winner, told Bay Area news station KNTV. He entered a 1,303-pound pumpkin. Last year, grower John Hawkley set a North American record with a 2,058-pound entry. He returned to defend his title, but his pumpkin registered 1,447 pounds. From UPI News and the New York Post.